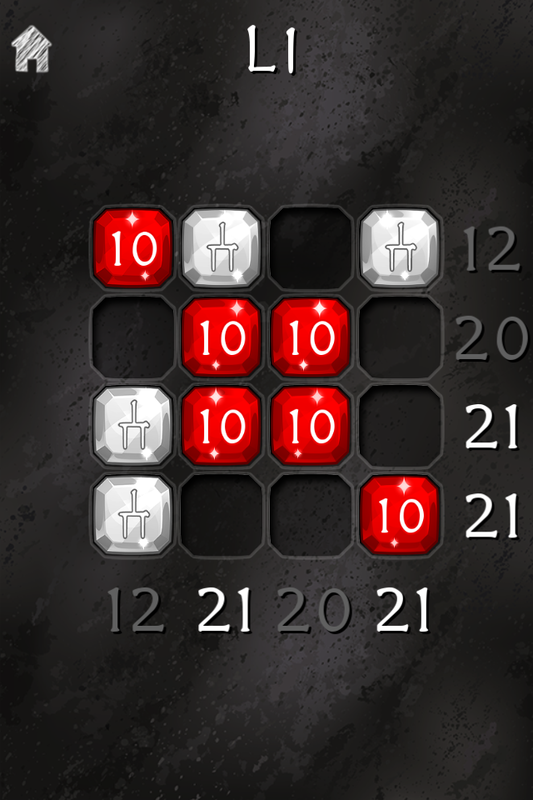 XXI 21 Puzzle Game is your next challenge! Can you get a sum of 21 in every row and column? It’s start off easy but as you progress you’ll find it very difficult. Move the gems around on the board until a solution is found. 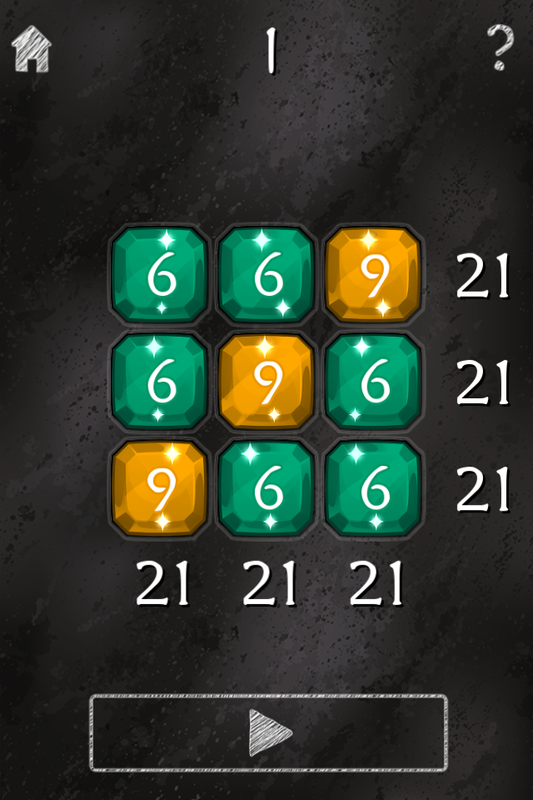 All gems have a unique numerical value, but watch out for the special gem that can be either a 1 or 11. Can you solve all 200 levels? Can you become a XXI champion? FREE download for iOS and Android devices.